Mirror Mirror on the wall, who is the fairest one of them all? How many of us do this every day? We continually seek our identity and validation on other people and things. We look at the Photoshopped world of Facebook, Twitter, Instagram, or Pinterest and judge our lives and worth based on other people. I can’t tell you how many times I’ve seen someone’s post or picture get several comments or likes, while I post the same exact thing and get nothing. How many times have I judged my worth on someone’s recognition or lack of recognition. I started my blog several months ago and someone else I know just started theirs…and theirs has blown up(in a good way). They get all these likes and comments and promotion but I hear or see crickets on mine. I had to check my heart…and my reflection. What part of me am I seeing when I react out of my soul instead of responding out of my spirit. I see myself blocking the post so I don’t have to see it or unfollowing them so my hurt and unresolved rejection isn’t confronted. To be honest I did unfollow. I was envious and jealous. The room of rejection yelled, “SEE NO ONE LIKES YOU!” And I accepted it… Until I dropped back into my spirit and responded with thankfulness that someone is being recognized for their gifts and attributes. There two cents are being heeded and honored and I love it! I’m going to share something that Jesus showed me a couple weeks ago in a vision(mind’s eye). I was at a Waterboyz for Jesus Boot Camp (based of John Eldredge’s Wild at Heart Boot Camp) and there was a mandatory code of silence to reflect on life and to ask Father God to father me. So I had this picture, vision whatever you want to call it, I was standing in the entrance to my High School’s Cafeteria on my lunch period and surveying the cafe…but first the backdrop. I was never a popular person in High School. I didn’t have a good solid friend or group of friends but I had several acquaintances. I feared every new lunch period because I was never invited to sit with anyone. Never. It was a room screaming rejection and “you don’t fit in.” Frozen with rejection and aimless. So I either sat at the “nerd” table, where one of my acquaintances sat, or some other obscure area. It was awkward. So back to the vision. I saw myself at the entrance to this same cafeteria with rejection screaming “you’re not invited.” Then I saw Jesus…waving me over to his table. He said, “You will always have a seat at my table.” It broke me in the best possible healing way. I have turned to a greater mirror! A mirror that displays goodness and acceptance and redemption and kindness. I love Jesus and how He speaks to our wounded and applies his healing balm. It soothes and replenishes. He is my mirror! He is my reflection! A river that never runs dry and a fragrance that never dissipates. In fact I’m his odor to a rejected and lost world. 2 Corinthians 2:15 says, For we are a fragrance of Christ to God among those who are being saved and among those who are perishing. I’m going to share several scriptures that speak to mirrors or mirroring and the effect. I’m not going to quote them all but for your reference. Unveiled faces. We are not like Moses who HAD to cover his face with a veil. Noticed when I talked in the Ten of Meeting he took the veil off. Now with Christ and Him renting the veil in two from top to bottom He, not only gave man access to God, but He gave God access to man! We are image bearers. We carry the image of God on this earth. We are the image of God. Beholding as in a mirror. What do mirrors do but reflect what is put before them. They don’t make up their own image. We don’t make up our own image. Where do we receive our reflection from? Who do we receive our reflection from? 1 John 4:17 says as He is(currently. not past but now) so are we in this world. The glory given to Jesus by God is transferred to us. We are being transformed into the same image… What? The same image? “Same” in Greek is autos meaning: the same, himself, in itself it signifies nothing more than again, applied to what has either been previously mentioned or, when the whole discourse is looked at, must necessarily be supplied. “Image” in Greek is eikōn which means: the image of one. Also this verse says we are transformed into the same image. Transformed in Greek is, get this: metamorphoō to change into another form, to transform, to transfigure. To transfigure! The same exact word used to describe Jesus when he metamorphoō on the mount with Elijah and Moses. 1 John 3:2 says, “Beloved, now we are the children of God, and it has not been revealed until now what we are going to be, but we know that when he has been revealed, we shall be in his likeness, and we shall see him just as what he is.” Seeing God, like Moses, has a uncovering of glory that is already within us, locked up in our blood since before Adam fell. Originally we were covered with glory and the radiance of God. Man sinned and that glory was shut up in the body and dwindled to embers…until Jesus breathed upon the disciples thus provided the Oxygen of God upon the ember to ignite and begin the transfiguration process. The more He is revealed the more we will be revealed. Creation is groaning for us Church! We will be like Him because we will see Him. FYI this is pre Second Coming in my opinion according to Acts 3:21. The Beauty of the Bride is in the union with her Husband and Head! We can, by our communion with the Father and submitting to the glorification of us by our seeing Him. We are one spirit with Him – 1 Corinthians 6:17. Co-Heirs. Brothers of Christ. Kings and lords under the King of kings and Lord of lords! Seated together with Christ! For too long the image I saw was the image I walked out. When I interpret the image incorrectly it will only result of living incorrectly. By the water of word and the Holy Spirit, He can clean our mirror so we can see, unveiled, the Glory of the Lord so we can begin to walk in original design and our original selves. Father, in Jesus’ name, I ask You to clean our mirrors and remove our veils so we may fully see you and then fully see ourselves. We repent for dismissing our glory, the glory you gave us. We cast our crowns only to have them returned to us purified to then cast them again on your feet. Let us remain in worship at your feet while also communing at your chest in which the revelation of Jesus Christ comes through us so we may truly walk, as Your body, the fullness of You who fills all things in every way. Let us walk as the fullness of You on earth and re-present you to this world. All with the spirit of agape love and true humility, a partner, associate, comrade, and companion of the Divine Nature. Let our mind be the same that was in You, Jesus, according to Philippians 2:5-8. And Lord we know you are the Author and Finisher of our faith and You are the Substance and Hope by which we seek you with all that we are. Thank you for reversing the body, soul, and spirit to spirit, soul, and body. In Jesus name we give you the glory and receive the glory you have given us. 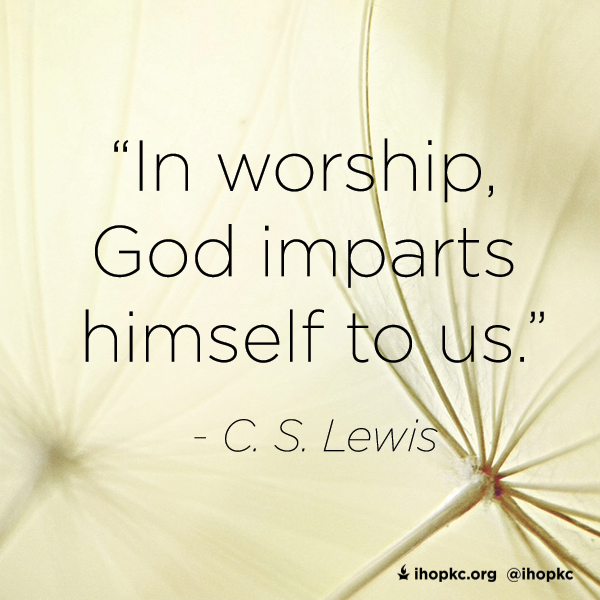 We worship and honor You, Almighty God, our Friend. Amen! Any “mirror” other than Jesus is a lie, whether it is comparison to others, counting our accomplishements, rating our performance…. I learned a wonderful definition of humility: Agreeing with what God says about us, even when experience and our own beliefs say otherwise. God says you are one of His dreams come true; a reflection of His glory, a living epistle, a child in His household, dearly loved, royalty, light, a new creation…. I know how long it has taken me to get even a little bit of this. I’ll keep being transformed; you do the same, yeah? When I was in High School, I was bullied a lot. Actually, throughout all of my schooling I was bullied a lot. I came into Christianity reluctantly, and found that I got bullied in the church as well. I had an experience with Christ, and I didn’t know how to react to all of these others that were supposed to be acceptant, but weren’t acceptant. I have been an outcast for my entire life. The truest word to the way that I’ve been rejected would be that I’ve been a “pariah” (look it up). What got me to for the first time in my life feel embraced instead of abandoned was the Spirit speaking to me, “You don’t have to live like this.” I, too, am one that doesn’t get a whole lot of attention on my blog. But that’s fine. God has intended that I’m not the popular one because His purposes for me is for a very specific people. When you reflect the image of Christ to others, in reality and not in a cheap “bless you brother” sort of way, with unveiled face, tears and eyes beholding the heavenly reality, people will listen. They need the same thing I needed. “You don’t have to live like this.” You are beckoned to come and enter His rest, which is to say, to enter the Heavenly Jerusalem, which is free (Hebrews 4:11, 12:22-24, Galatians 4:25-26). That freedom manifests in truth or it doesn’t manifest. Truth is the thing that releases the captives. Keep writing. You’re on the right track. Amen! Glory to God for His adoption as sons! Well, praise the Lord! I finally found your comment spot. Every blogger has different themes; that may the challenge. Thank you for visiting my page; and I send you my blessings for your post today. With the wisdom and insight you express in your devotional portions, you are raising your challenges up to view them in the mirror of God’s Word and giving your readers encouragement in the Lord. Let God be sovereign over the faithful sharing of your gift; He knows how to use it in this big wide world of cyber readers…Blessings! I def agree with the shorter blog posts. This time I had to take more space 🙂 Thanks for the ideas! My take is..whatever the Lord puts in your heart to write-long or short. The people (and in some cases, person) it’s meant for will read it- in due time. The question is are you directed by the Lord in your writing or is it all yours? That solvea the long post,short post thing. Whatever He tells you to do, do it. This is a great post because it showed your vulnerability /weakness and also repentance/ redemption. I think that is what God does in us. It points to Jesus working in us and through us. I can relate to what you said. I, too catch myself about to think the same way but i stop by His Grace. It is natural but the Spirit must lead . Our “success” is not always His success. We might want 1million people to read and comment but He may have led you to write it to save/encourage JUST ONE PERSON, who will read it and not even comment but go into His presence repentant/encouraged/saved. I’m learning this. It’s like the very things you shared is what’s happening with me. With some changes of course. But how you felt I can totally relate to. I’m learning.. Thanks for sharing!! Well looks like likes are growing up :). ( ;o ) Jesus you are the one I love the most. May I join Jesus group, where no one is left out? He is waving you over to His table as well…always room for more! I have been at Jesus table for some time that is what billiescauldron is all about. Sometimes hard for others to grasp the meaning but is healing for me. A growing of love, faith, and hope, with very few words of encouragement from others. So I really liked your mirror mirror, it was served at just the right time, Jesus way. So hope you too sit at my table with Jesus. You’ll find him at both my blogs, billiescauldron, billiejjones. He is my author of my life writings, and my life. He keeps my blood flowing with the rhythm of the drum. We are his grapes. Awesome blog post. I resonate so much with mirroring Jesus, instead of mirroring anything else (the world, for example). One of my favorite commentators, John Calvin, referenced mirrors several times in the Institutes. You did a wonderful job giving an overview to mirrors and reflections pointing to Christ. Thanks for the handy list of verses where these are mentioned. After the new year, when I have more time, I plan on doing a topic study with your list. Reblogged this on Thoughts of CS Lewis: A Journey of Faith.